EnVision Quality Supports provides private support coordination services for individuals receiving services through the Division of Services for People with Disabilities on the Home and Community Based Waiver. There are no out of pocket expenses to you for these services, as the funding exists in your current DSPD/waiver budget. We provide services throughout the state of Utah and employ experienced, quality support coordinators. Contact us today to see if we can help you achieve your goals. To provide quality services and supports in a way that is individualized for each person. WE VALUE YOU & YOUR GOALS! What makes EnVision Quality Supports different? We are proud to say that we started because of family member’s request. We strive to live up to that standard every day! 20 well-trained support coordinators provide the best customized service statewide in Utah. Director has 20 years experience working with people with disabilities-10 years on an Administrative level with DSPD. We hire only well-qualified applicants and have amazing employee relations! Our commitment to manageable caseloads for all our support coordinators means high employee satisfaction and long-term relationships with our clients. EQS has a physical office location, unlike other SCE companies to allow for a neutral meeting place when needed. 7 certified brain injury support coordinators, three of which hold national certifications. 2 RN level nurses on staff for consultation and case management. LCSW therapist on staff for consultation and case management. 2 SSW level social workers on staff for consultation and case management. Service Brokering resource and referral contract with DSPD. New Choices Waiver and EPAS certified provider. Extensive Medicaid, DSPD, and Social Security knowledge, certified benefits planner. 2 Spanish-speaking Coordinators to assist with case management and translation. We honor each person’s individualized needs to best support a comprehensive plan of care. Services are tailored around each person and his or her family’s unique needs. Birthday cards to each person to celebrate their special day! Our support coordinators treat each person with dignity and respect, and demand services that we would expect for our own children. Many of our employees have immediate family members with disabilities, allowing for a greater understanding of what families go through. Look for our new Client Appreciation Night currently in the works! We are committed to providing timely and accurate information to our clients- staff is required to return phone calls within 24 hours. Our teamwork provides seamless support in case your coordinator is unavailable. 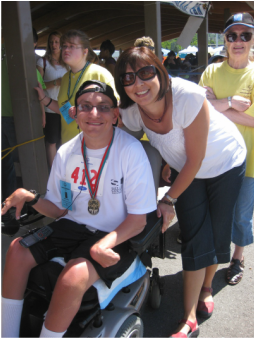 We sit on various boards and committees including DSPD Disabilities Advisory Council, ISCA (Support Coordination Group-served as President for 2 years), Family Links Conference, Salt Lake County Adaptive Recreation Board, and various DSPD committees to better understand and navigate the system as a whole. If needed, we have an attorney on retainer who works on a discounted, or pro-bono basis for our clients. We are developing a non-profit organization to raise money to help provide our clients financial assistance for equipment or other necessities.